Your personal assistant in outdoor photography. Use GoldenHour.One - the first and only app that knows when the time is right to go out and take photos. Find the best time for your photos. 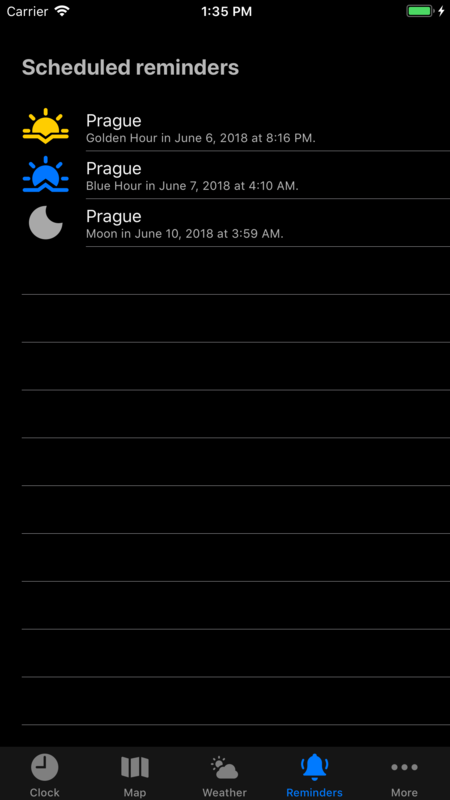 App will show not only time of golden hour, blue hour and even time for best photo of the Moon. No need to watch the weather yourself, the app does it for you. Three indexes show what conditions you can expect for various type of photography. Map-centric planning tools allow you to find the best place and time for photoshoot. They help you identify when Sun and Moon will be in the exact spot, where you need it. To make sure you never miss your chance, just quick tap of the bell will add early reminder advanced by chosen time. GoldenHour.One newly helps with planning of photos of Moon in the countryside. New functions help you find the best time and place for the perfect photo. To our very liked indexes, we recently added one entirely new one. 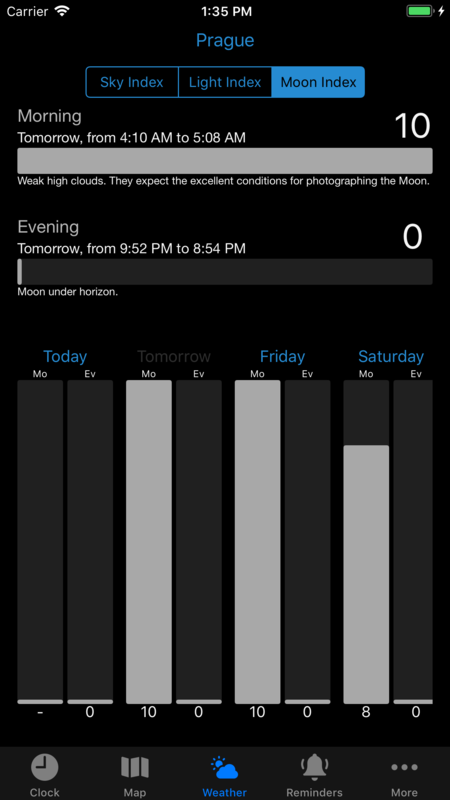 It can, based on your weather forecast, estimate the expected conditions for photo of photo of the Moon. GoldenHour.One can calculate time when lighting of countryside and the Moon will be in the perfect balance. Only in such moment, you can make a picture with magical atmosphere. 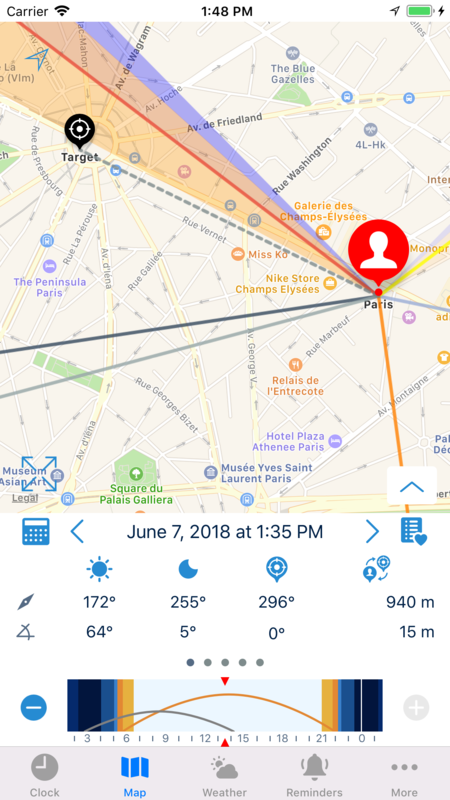 Completely reworked maps show position of sun and moon at any point in time during the day, not only during sunrise and sunset. On the map find the point, you wish to make a photo of. The application will calculate distance, azimuth and even elevation. You can easily find the best time when either Sun or Moon is at the exactly right spot you want them at. The app will show you all the information you may need for planning of the photoshoot. Azimuth and altitude of sun/moon, Moon phase and % illumination, twilight details, elevation above sea level. All necessary info on one screen. 24 hr clockface showing the Golden and Blue Hour and visibility of the Moon. Buttons for adding of reminders. Beautiful photo needs proper composition. When taking photos, you need the sun in the right position. To achieve this, you need to find the right place to take the pictures. With GoldenHour.One, all you need to do is to move the pin from place to place, to find the best spot. Go for a trip when is a good chance for your photo. Beauty of the sky depends on many factors, especially clouds. Too few and the shot becomes boring, too much and colors become dull. To guess your chance of making the best photo, you must take into consideration not only current weather but also predicted development. It is no easy task, but GoldenHour.One is able to do it for you, in their simple indexes it tells you your estimated chances to a good picture. Light index shows the quality of the light during the golden and blue hour. Sky index shows your chance for an unforgettable picture of dramatic sunrise or sunset. Moon index for the best shot of the Moon. Commentary explaining details of the index. As with all the best apps, it just works. Menus are not over-convoluted with unnecessary data and options, it feels like a golden hour app designed by a photographer, for photographers. GoldenHour. One gets the Fstoppers seal of approval. However impressive that is, the GoldenHour.One app is better for planning a shoot. 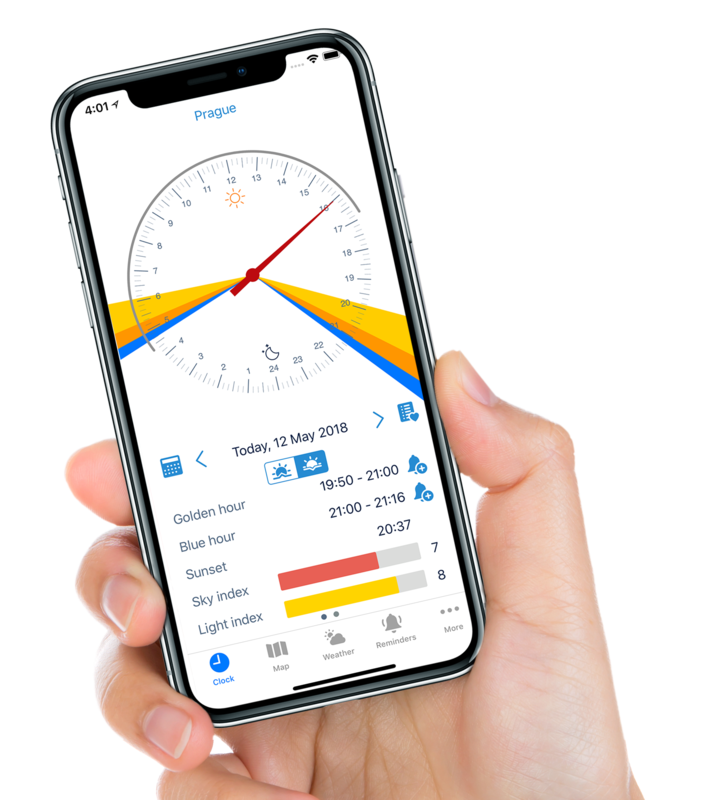 As well as plotting exactly when the golden hour (and the blue hour) begins and ends for any location, it adds a compass mode for finding the exact direction of sunlight. 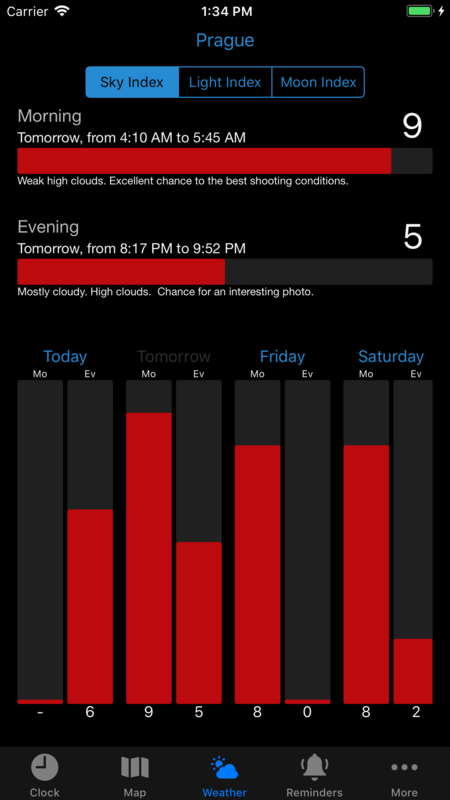 That means you can calculate when your ideal shot will be possible, and save it in your calendar. It also includes weather data. 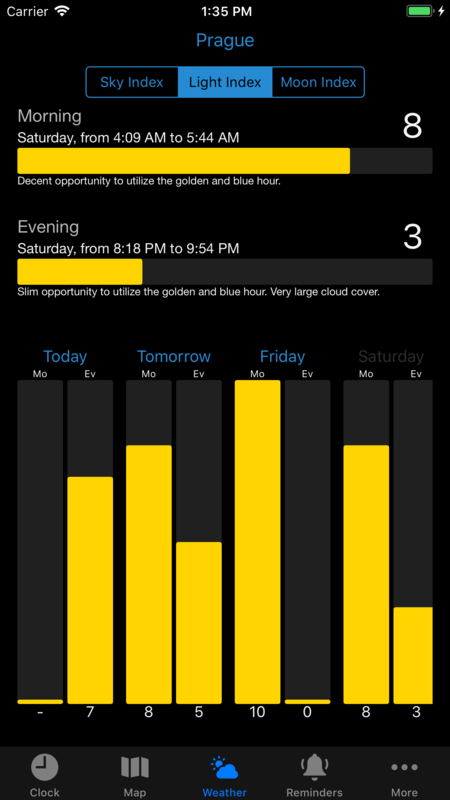 Overall, it’s one of the best designed and most thoroughly thought out golden hour apps available. Whether you shoot portrait or landscape, this app is a game changer. 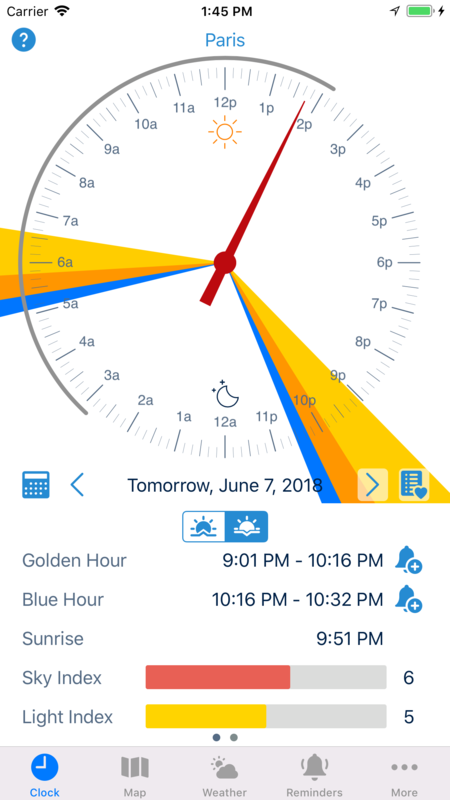 If you rely on weather apps to predict golden hour timeframes, you’ll find something refreshing and helpful about Golden Hour. Coolest Filmmaking Gadget of 2016. Shooting during golden hour can result in some pretty beautiful images, but it can also be tricky trying to plan a shoot within such a small window of time, which doesn't leave much of a margin for error. That's where Golden Hour comes in. 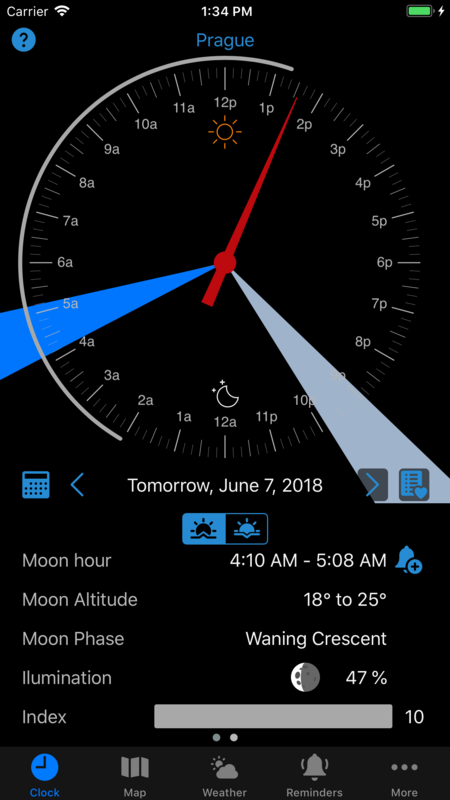 This app helps you find the best time, place, and weather conditions for shooting during this time of day by calculating the exact time and best sun position for golden hour anywhere in the world. Finding perfect light has never been easier - we are loving this golden hour app for photographers. I really appreciate this app, no more guessing. My photography look so much more like the high end photos in magazines. This app is a great way to get the best photos. It is a keeper for me. This is a must for photographer at all levels! Lots of functionalities and alerts! Recommend!